This past December marked my 18th year in business. 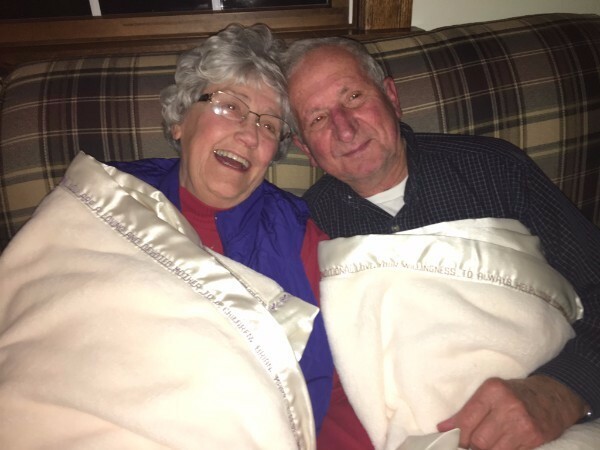 Looking back on what we’ve accomplished since the beginning, I found that we’ve created over 13,000 personalized story blankets for over 6,000 customers! Thank you, to all of you who have entrusted us to deliver your heartfelt gifts for the precious little ones in your lives. I am so grateful for your support, your likes on social media, your referrals to friends, your testimonials on the website and of course, your orders. As a thank you, please use code newyear for 10 percent off your order until January 31, 2017. I wish you an abundance of love, laughter, joy and good health in 2017! My mom, pictured here, lives a state away and I cannot be with her as much as I would like. As years go by I find myself reflecting on what an amazing woman she is. 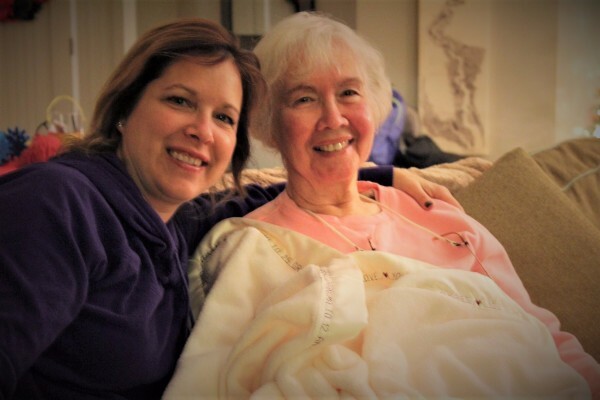 She became the inspiration behind my newest line of blankets – LIFE STORY blankets – A throw size blanket that captures the significant moments in her life, her accomplishments, the beautiful things I love about her and her favorite bible verse. I feel like a piece of me is always with her to provide warmth and comfort. Learn more about these blankets here. Welcome to the world, (Baby’s Name) It is the morning of your life and all of your dreams are just beginning. You are a warm and wondrous gift to the world, for you are made of lullabies and love, and so many wishes come true. May you always be surrounded by listening hearts and nurturing hands. May your dreams touch the sky and may you always know how very much you are loved. Every good and perfect gift is from above. James 1:17. 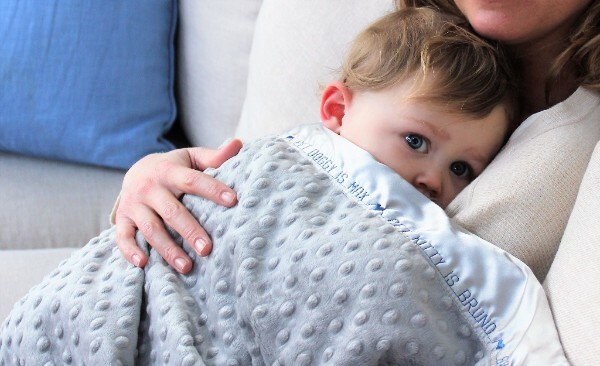 My friend’s baby (and my latest model) with our classic minky dot blanket in grey – one of our new colors. We are proud to have these blankets made in the USA.